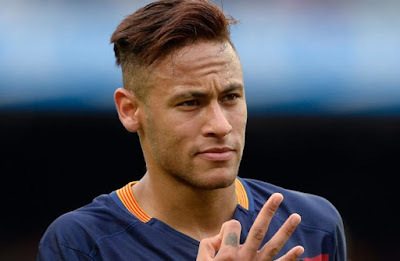 Barcelona have blocked payment of a 26-million-euro ($31-million) bonus for star attacker Neymar as speculation mounts that he will move to Paris Saint-Germain, a source at the club said Tuesday. The Brazilian football star, who is due to come back for training on Wednesday morning, is at the centre of an apparent tug of war between the two European giants in what would be the most expensive transfer fee in football history. Speculation is mounting that the 25-year-old could quit Barcelona for PSG for a world-record 222 million euros. “These 26 million euros have been placed with a notary pending to see if the player continues,” the source, who refused to be named, told AFP. But the club has decided to put it on hold pending to see how the situation evolves. Neymar’s future is the talk of Spanish football, and particularly Barcelona supporters. After a successful pre-season tour in the United States that saw Barcelona win against Juventus, Manchester United and Real Madrid, the footballer flew to China for a promotion trip. But he studiously avoided commenting on the situation. Apparently: If Neymar is still a Barça player on July 31, they must pay a €25M loyalty bonus. On Wednesday, Barcelona players resume training after their summer break, with a double session in the morning and in the afternoon. Neymar has been called to the training, the club source said, although Spanish sports media doubt he will show up.